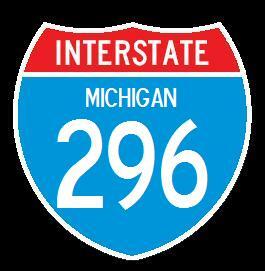 Interstate 296 is a 3.43 mile long freeway in Grand Rapids. This is a un-signed or "secret" interstate. It is not listed on maps, or does it have any shields posted. The entire route runs along U.S. Rt. 131. 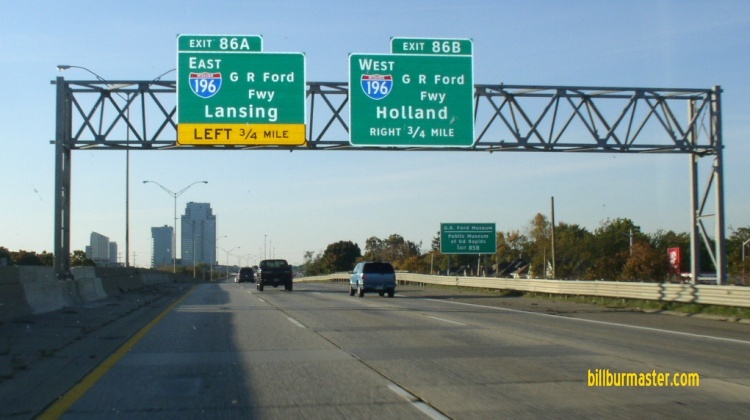 It goes from I-96, south to I-196, at Downtown Grand Rpaids. 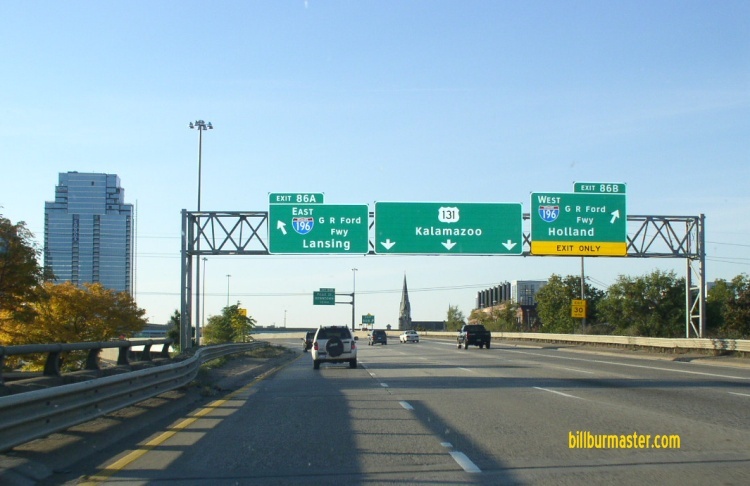 While in Michigan, I-296 is multi-pexed. ...U.S. Rt. 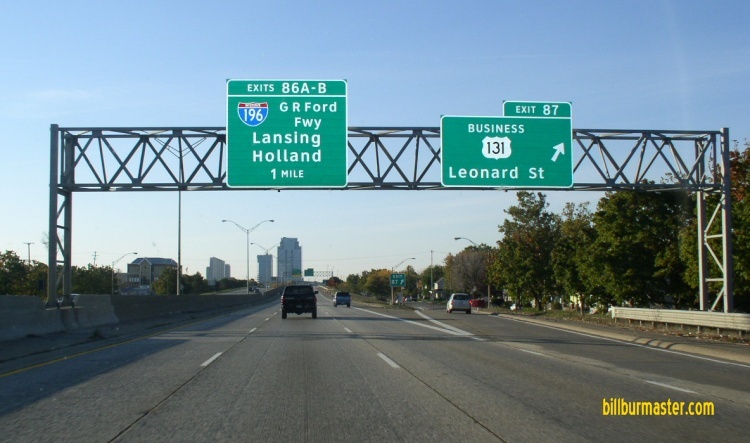 131, at Grand Rapids. 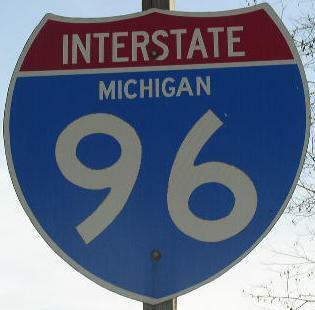 In Michigan, Interstate 296 crosses the following interstates. SB I-296/U.S. Rt. 131, two miles from I-196. SB I-296/U.S. Rt. 131, one mile north of I-196. SB I-296/U.S. Rt. 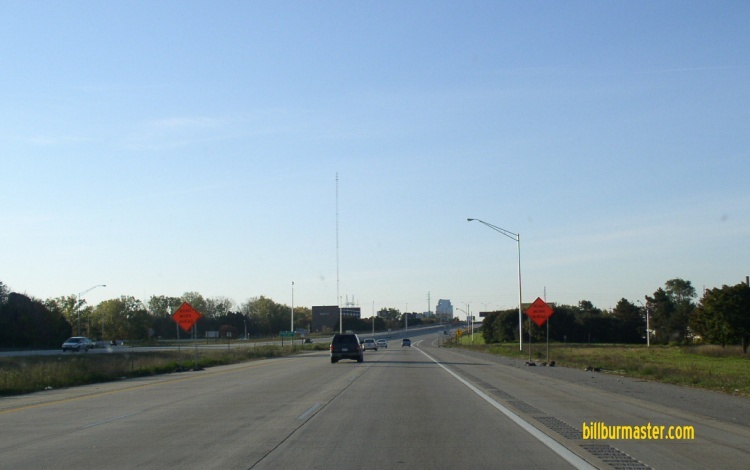 131 near I-196. 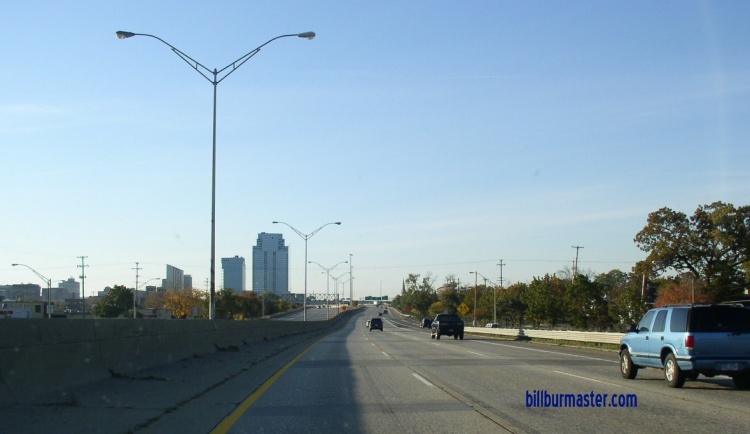 SB I-296/U.S. Rt. 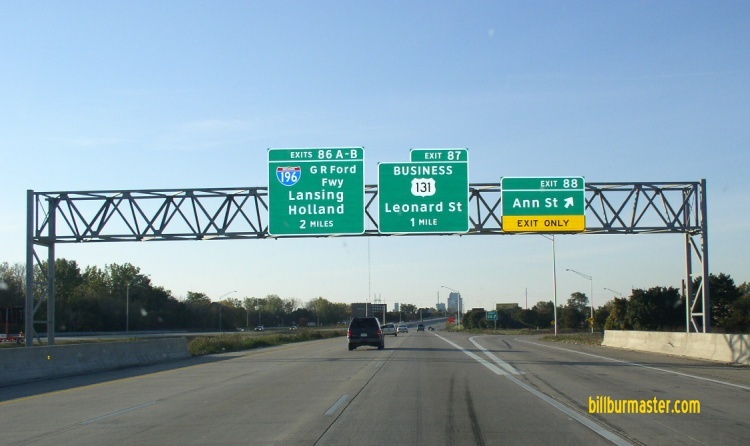 131 at I-196. Info on the Parent Route of I-296. 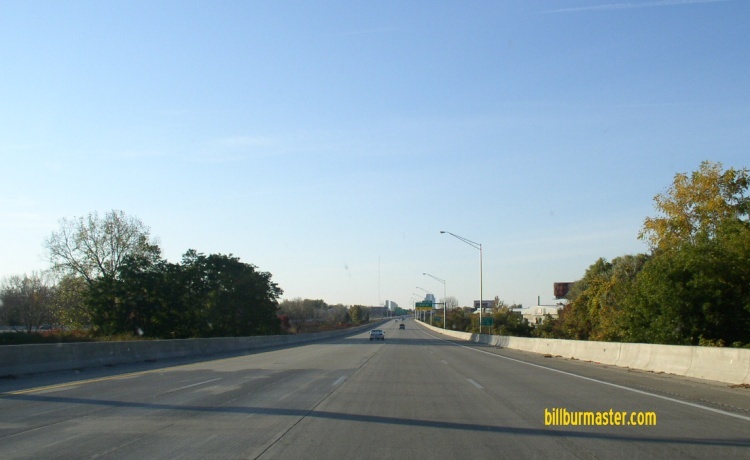 SB I-296/U.S. Rt. 131 south of I-96/MI St Rt 37. SB I-296/U.S. Rt. 131 south of Ann Street. SB I-296/U.S. Rt. 131 south of Leonard Street.